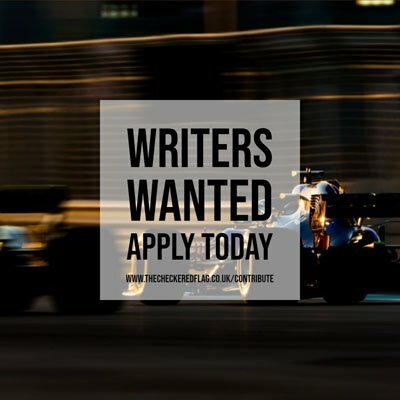 The headline news concerns the sprint-format championships currently known as the Blancpain GT Series Sprint Cup, Blancpain GT Series Asia and Pirelli World Challenge GT. From 2019 onwards this trio will spearhead a new global initiative: the Blancpain GT World Challenge. This exciting international endeavour will present GT3 manufacturers, partners and teams with the chance to compete in global customer racing and measure the success of their achievements on a truly global scale. With major manufacturers striving to demonstrate their excellence in the competitive arena of international customer racing, the new Blancpain GT World Challenge will take the on-track competition to a new level in 2019 and beyond. On 12-14 October the GT4 Sprint Cup Final will take place at Hockenheim in the context of the final round of the DTM, while on 26-28 October the Intercontinental GT Challenge will conclude its triumphant second season with the California 8 Hours. Finally, on 30 November-1 December, the keenly-anticipated FIA GT Nations Cup and GT4 International Cup will close the season as part of the inaugural Bahrain GT Festival. Attention will then entirely shift to a busy 2019. The calendar will once again be headlined by the manufacturer-focussed Intercontinental GT Challenge, which will expand to five events on as many continents next year. The schedule unveiled at the Total 24 Hours of Spa remains unchanged except for a small adjustment to California 8 Hours, which will now take place on March 30-31. Entry to the Pro class of the Endurance Cup, including the blue riband Total 24 Hours of Spa, will be limited to manufacturers that compete either in the full Intercontinental GT Challenge, the complete Blancpain GT Series, or the full Blancpain GT World Challenge. What’s more, to strengthen the championship’s amateur spirit, a minimum pit stop time will be introduced for the Am Cup, and potentially for the Pro-Am class subject to further evaluation. As has been the case previously, there will be no minimum pit stop time for competitors in the Pro and Silver Cup classes. 2018 has been a landmark year for the GT4 European Series, with impressive grids competing at each race. It will maintain its six-round championship format in 2019, with each running in support of Blancpain GT Series events. What’s more, a Spa GT4 Endurance Cup will add an additional standalone five-hour contest as part of Spa Speedweek. As in 2018, this will be staged on the weekend before the Total 24 Hours of Spa (20/21 July). In addition to its GT3 machinery, Blancpain GT Sports Club will be the launch series for the new GT2 category in 2019. The class is progressing as planned, with six manufacturers have expressed their interest to date. On the GT4 side, the format will be restructured around two series. GT4 America Sprint (previously GTS) will contest eight nationwide round, including significant events alongside the IndyCar Series at St. Petersburg (9-10 March) and Long Beach (13-14 April), and ending as part of the grand finale in October. The series will feature one driver per-car, with competitors up to and including Gold classification eligible. GT4 America Sprint X will compete at eight events nationwide, beginning at COTA and then joining the Blancpain GT World Challenge America for the remainder of its schedule. This will see two drivers per-car on a Pro Am basis, with regional GT4 America East and West titles awarded from five of the eight races. 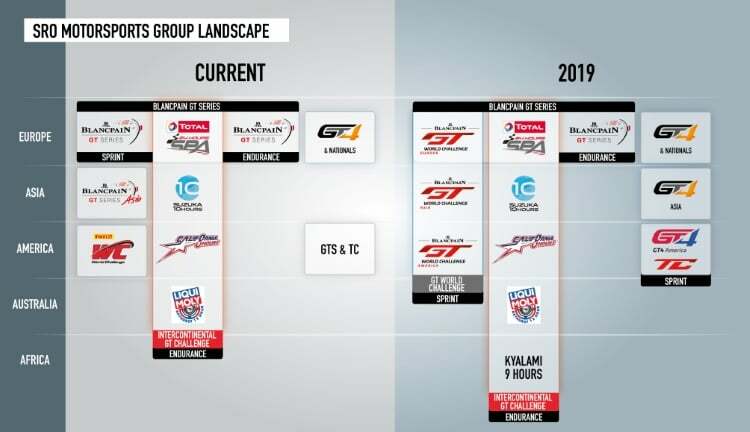 TC America will contest a seven-round calendar featuring the TCR, TC and TCA classes, allowing this growing category to develop its own identity fully. Finally, in addition to the GT3-focussed Blancpain GT World Challenge Asia, a standalone GT4 category will also be introduced in 2019, competing separately at most of the six events. This will be restricted to Asian nationals and residents and will cater exclusively for Am drivers.